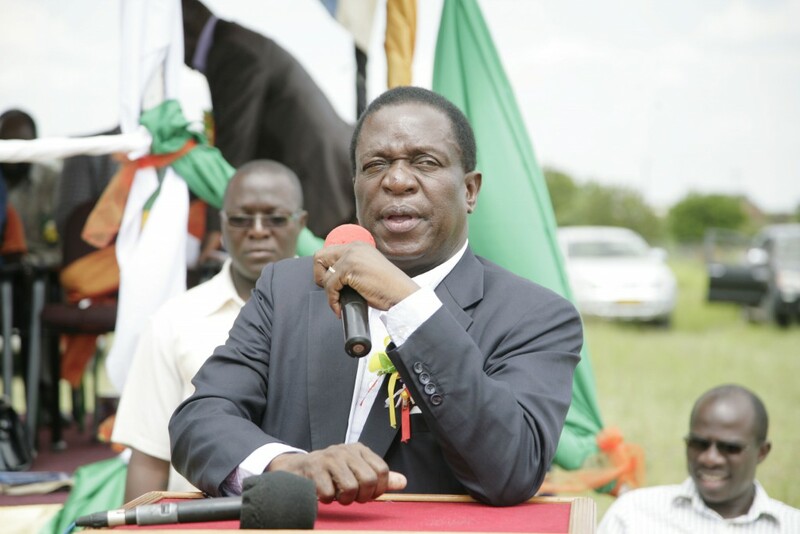 Mnangagwa announced the dissolution of the two provinces about a fortnight ago to address factionalism which the Zanu-PF leadership blames for its failure to win urban constituencies in the two metropolises. To extinguish factional fires consuming his Zanu-PF party in Harare and Bulawayo, Mnangagwa appointed his deputies - Constantino Chiwenga and Kembo Mohadi - to oversee the restructuring. In a new twist to the developments, Mnangagwa has now deployed more politburo members to work with Chiwenga and Mohadi in their respective areas, with Zanu-PF insiders saying this was meant to keep his deputies in check. "Several politburo members were seconded to either Bulawayo or Harare to work with VPs… although I cannot remember all of them I know that … (Christopher) Mutsvangwa, Edna Madzongwe, Patrick Chinamasa and others are working in Harare and those from the province are not involved," said the party's secretary for legal affairs Paul Mangwana, after being contacted for comment yesterday. The Daily News could not immediately get the names of Zanu-PF politburo members assigned to work with Mohadi in Bulawayo. Insiders claimed yesterday that far from giving his deputies more hands to work with, the move by the Zanu-PF leader demonstrates his lack of trust in some of his colleagues. Talk in Zanu-PF is that there is a clique fighting to restrict Mnangagwa to a single term, which ends in 2023. The involvement of Zimbabwe National Liberation War Veterans Association Christopher Mutsvangwa - a known Mnangagwa ally - highly placed sources say, is however being seen as evidence of Mnangagwa's move to checkmate his rivals. "It is clear that Mutsvangwa and Chiwenga are not the best of buddies if you consider how fiercely he fought (Kudakwashe) Tagwirei's dominance in the fuel industry. He will have a significant say on who becomes chairperson of Harare province on behalf of the president as he has control over Zone 4 which includes the likes of Hatcliff and the peri-urban areas in the northern parts of the capital," the source said on condition of anonymity. Chiwenga, Zanu-PF close sources say, had hoped to take control of Harare by ensuring that officials loyal to him get influential positions when the provincial executive is reconstituted. In a counter move, a central committee member said on condition of anonymity, that Mnangagwa made sure that the Zanu-PF political commissar, Engelbert Rugeje, who is seen as sympathetic to Chiwenga is not in the picture during the restructuring notwithstanding his constitutional mandate. "The commissariat department is in control. The party constitution mandates it to take charge although they will be assisted by those that are appointed." In other parties they call it the organising department so in our case the politburo members will work closes with our commissariat," Mangwana explained. The factional fights in the ruling party that are reminiscent of Mugabe's rein came to the fore recently when some members of the youth league passed a vote of no confidence in its leader Pupurai Togarepi and others for allegedly not doing enough to support Mnangagwa. The development forced Mnangagwa and the Zanu-PF politburo to intervene to declare the vote of no confidence null and void.